Second in an oh-so-cute chapter book series from a very special pet shop – small in size but big on charm! The cuddly pets of the Littlest Pet Shop have a major passion for fashion. Now Blythe and Russell the hedgehog are modelling on a fashion magazine cover. The world is buzzing about their unique look. 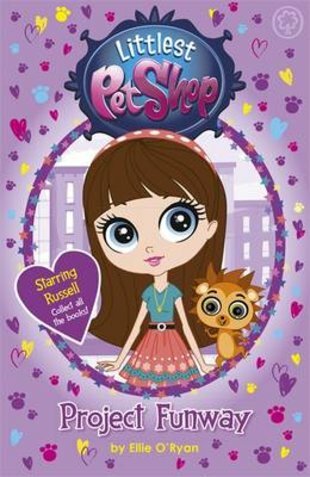 It’s so cool that Blythe and the pets are invited to star in a big fashion show in Paris. There’s just one problem: all the pressure has got Russell feeling prickly! There’s a reason it’s called a catwalk, not a hedgehog-walk. Right?